A powerful tactic used by the best charity PR campaigns is to get national newspapers to publish a group letter from experts supporting your point of view. As the former letters editor of a Sunday newspaper, I’d like to share with you some of the ways of making this happen. Group letters frequently generate news stories and can catapult a topic into the broadcast media, too. Letters editors like receiving them from charities because it looks good for them if something on their page generates a discussion on the Today programme. It goes on to explain the charity’s concerns, in a civilised way that will draw the attention of ministers and opinion formers. If your letter refers to something recently published in the paper, include a reference to the date and headline of the original story in brackets at the end of the first sentence. Letters editors are undoubtedly news geeks, but they don’t read every news story and may not remember the exact piece you’re referring to. You don’t need to pad out the list of signatories with endless nobodies. Six or 10 names is fine. I once published a letter signed by 365 eminent people, but that was only because a rival newspaper had famously published a letter signed by 364. In practice, if a letter is signed by lots of people, many of them will end up with their names only appearing in the online version. “We are concerned that physiotherapy services are being rationed for people with rheumatoid arthritis (RA). It is nicely informative and was published with seven upmarket signatures. Importantly, the medical correspondent of the newspaper was contacted, too, and he wrote a news story based on the letter. The pros know to get a letters editor’s interest before even drafting a letter. Ring and suggest a group of eminent economists, doctors or charity chief executives are thinking of writing a letter saying x, y and z. The letters editor might offer advice. For example, they might say it’d be good to have a mention of a story the newspaper has just published, or that readers tend to be interested in a particular topic. Once you’ve drafted the letter, send it to the letters editor, mentioning you’re just finalising the signatures. This will mean if there’s something very wrong with it, you might get feedback early enough to do something about it. Moreover, it will help seal their commitment to your letter, as they’ll feel part of its evolution. Letters pages never publish so-called “open letters” – ones you circulate widely on your website and to other papers. They always want exclusive ones, and you should specify when submitting the letter it is “exclusive to The Times” or whatever. Remember, journalists hate attachments – and some systems strip them out – so always submit your letters in the body of an email. Bizarrely, some people print out their letters on headed notepaper, scan them and send them as an image file. This makes it impossible to cut and paste the text into the newspaper. In most newspapers, the deadline for submitting a letter for the next day’s paper is early. A daily newspaper has probably decided on the next day’s letters by 11am, when the letters editor meets the with the newspaper editor. If you’re going to submit something a bit later, you need to alert them it will be coming. The page may well be finished by 1pm and sent off to sub-editors to proofread and design. It’s rare for a letter submitted after that time to be judged important enough to justify tearing up the finished page. 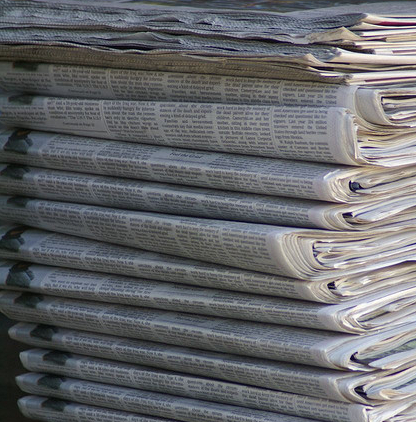 If you’re looking for newspaper coverage, make sure your organisation is signed up to AskCharity and your details are up to date to receive case study requests from journalists. Alex Singleton specialises as a consultant in issues management and public policy communication. Check out his book, The PR Masterclass.